To all three, and the multitudes who embrace this concept of love over and over and over again, I have one word to say: “Garbage.” Perhaps from a materialistic world that denies the mind, the spirit, and the supernatural this might be true. After all, they say, lust is just the result of stimuli triggering hormones (testosterone/estrogen) and when that triggering creates a familial bond it in turn leads to the release of an abundance of chemicals (dopamine, serotonin, vasopressin, etc). So, yes, love is nothing more than a chemical reaction and you can’t help it. Love is a choice. 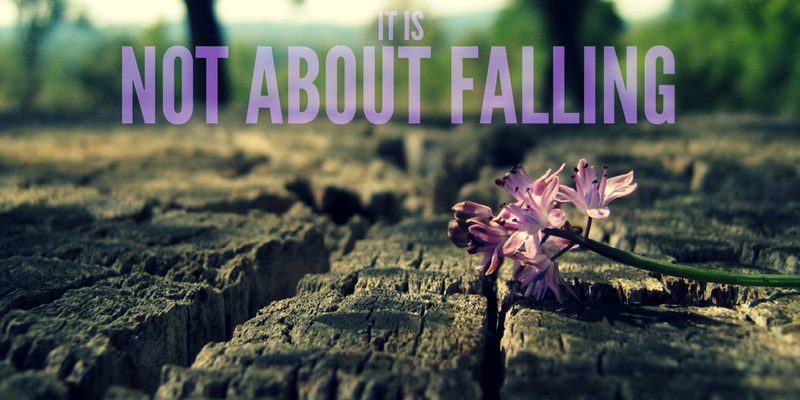 It is not something one simply falls into. You walk in love. You rise to love. The only thing falling in love ever accomplishes is injuries to your flesh. Yes, chemical reactions can randomly happen. Attraction, lust, these things might come upon a person suddenly. But love is the product of what you do with that attraction. If it does not completely and totally reorient your life, it is not love. If it doesn’t change you, it is only a physical aspect of greed. You want that person only for what you can get, or what they can do for you. React: In the same way, love for God is something that must be guarded. It must be nurtured. Like Joshua said, “Be very careful to love the Lord your God.” It is a choice. I must chose to love Him. Every day when I wake up, I must reorient my life to His will. Love is also a command. Each and every one of us is ordered by God to love both Him and our neighbor. In both cases to accomplish this we need to openly embrace a passionate commitment for the object of our love that we will then nurture and grow down through time. If we are unwilling to commit to Him, then all we have is a form of infatuation. If we do not constantly and consistently nurture our love, even the deepest love will wither and die. So let us be very careful to love the Lord our God, and as an expression of that love, let us be abundantly pouring love out on our neighbors. Help me today to go deeper in love with You. Then tomorrow, help me to go deeper still. Let my every step be one that leads me to becoming ever more in love with You. Help me to guard that love. Help me to cherish it. Help me to do those things that would continuously fan it into flame. Let Your love for me, and my love returned burn so bright that the world cannot help but notice. A wonderful post, Beejai. Thanks. This hits home with me as I go through this season in my life. It was encouraging to me. Thank you for this truth.